Harlan Coben introduces a selection of the greatest of the great from the golden age of pulp fiction. Here are 14 classic tales of virtue versus villainy that will keep you riveted to your seat. Legendary writers you've already heard of like Dashiell Hammet, Earle Stanley Gardner, Cornell Woolrich and Raymond Chandler are here. Legendary writers that you should have heard of like Frederick Nebel, Paul Cain, Carroll John Daly, George Harmon Coxe, Charles Booth, Leslie White, William Rollins, Norbert Davis, Horace McCoy and Thomas Walsh are also where they should be - with the greats. 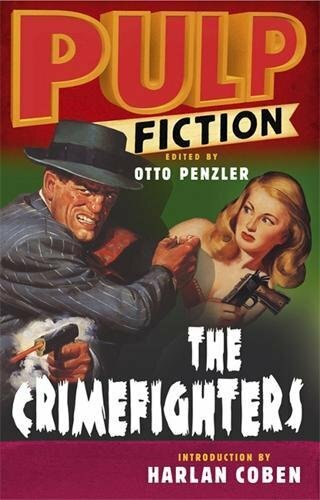 Tailor-made for both pulp novices and hard-boiled fans with a soft spot for the masters, this collection shows that some writing has an edge that time just can't dull. Fourteen tales from the golden age of pulp fiction.